Sunset in Mexico, originally uploaded by Bednarski Media. Hurricane Jimena is hitting Mexico hard this week... Hopefully it won't cause too much hardship to this wonderful country. 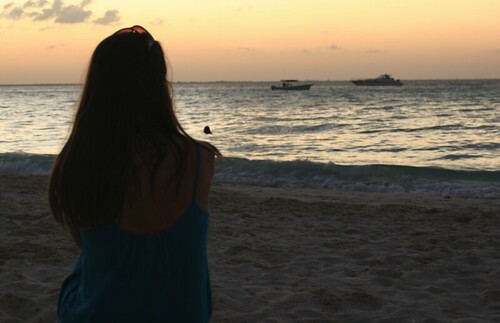 Here, a picture of my muse I took last February at Isla Mujeres, Mexico.